We enjoyed our visit to Durango and our RV park, especially watching the train come and go every morning and evening. We drove only 60 miles today over to Pagosa Springs. This town is known for it’s hot natural springs. The Ute (pronounced yout) Indians believed the hot springs were a gift from the Great Spirit as a result of a legendary incident. A plague fell upon the Utes, and their medicine men failed to end the death and devastation. As a last resort, they built a gigantic fire to send a message to their God for help. They danced and prayed around the fire all night and collapsed in exhaustion and slept til morning. When they awoke they discovered that where the fire had burned, there now appeared a pool of boiling water. Whatever the story, in the late 1800’s several bath houses were constructed, and a town grew around the hot springs. The hot mineral water remains to this day and continues to hold an aura of mystique to those who attest to its healing and therapeutic value. The water analysis of the springs includes: silica, iron and alumina oxides, lime, magnesia, chloride, bicarbonate, sulfate (you can smell it but not terrible), and sodium oxide. There is no radio-activity. 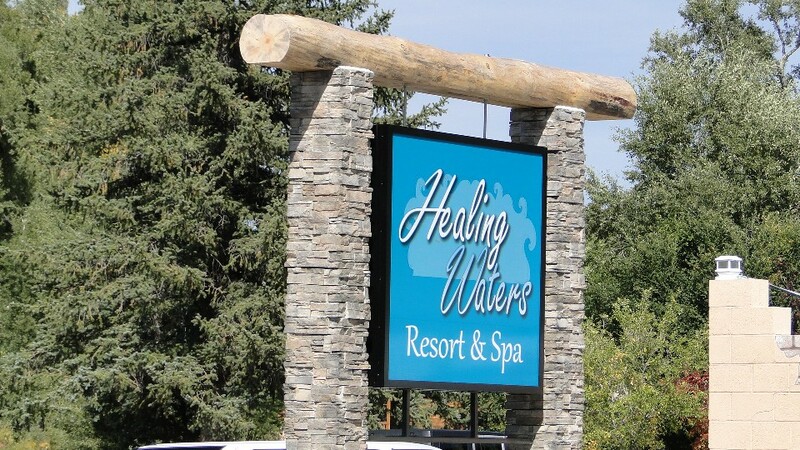 I really stumbled on this spa as a place that also has RV sites. So I reserved it for one night. This spa looks like a compound of sorts. 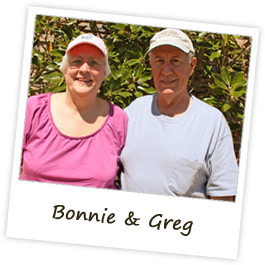 There are only 5 RV sites, and there are hotel rooms arranged in a square. 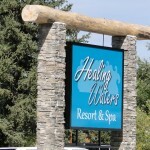 There is one big pool, and one hot tub, and two springs separated for men and women –both have sauna rooms. 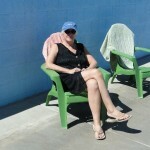 We got settled into our site and had lunch, then got ready to go to the pools. Luckily we brought our bathing suits, never dreaming we would use them on this trip. The pool has a constant temperature of 92 degrees and the separated pools have higher temperatures of over 100 degrees. We swam in the pool this afternoon and when we got out of the pool, we dried quickly in the low humidity. The air feels cool, but the water is extremely warm. We enjoyed the pool so much we decided to stay for a second night. Hey, Enjoying the trip log, sounds and looks like fun. Photos are great. I remember riding the same train years ago on one of my Colorado outtings. I just returned from Richmond and have been catching up on your travels…..sounds like you all are having a wonderful time. The pictures are awesome. Randy and I rode the train from Durango to Silverton in 2003. You are so right the scenery is incredible. Stay safe and Happy Travels.